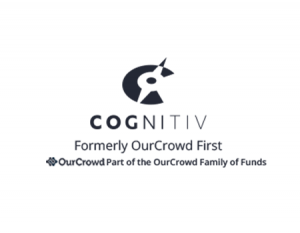 Previously known as OurCrowd First, Cognitiv Ventures is among the most active seed-stage venture funds in Israel. With a goal of transforming futuristic fantasies into everyday technologies, Cognitiv Ventures focuses on identifying and supporting companies that are developing and leveraging groundbreaking cognitive Artificial Intelligence solutions. The team behind Cognitiv is made up of serial entrepreneurs who are sharing their wealth of knowledge and experience to elevate others. Every year they vet thousands of startups and invest in the most promising of them. Aside from funding, the chosen companies also receive mentorship and strategic advice. As a General Partner since August 2016, Avi Reichental is discovering, fueling and guiding entrepreneurs who are eager for disruption.